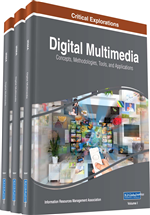 This chapter presents in brief background knowledge on multimedia communication: multimedia applications and services, network and user QoS requirements, bandwidth on demand, multicasting, media synchronization, adaptive media coding, multimedia streaming, and end-system support for multimedia communication. In the second part, it deals with content delivery networks (CDNs). In the third part, it concentrates on issues for achieving multimedia optimization over heterogeneous wireless and wired networks. In the fourth part, it presents the main approaches for QoS guarantees over the Internet. This part tries to include the important aspects that have significantly impacted the enhancements to the basic Internet architecture and its associated protocols. In the fifth part, the chapter presents future Internet architectures. This is followed by some future research directions in multimedia networking. Nowadays, industry is making considerable investments to deliver digital audio, image and video information to consumers and customers. Novel infrastructures are quickly being deployed for digital audio, image and video recorders and players, on-line services, and electronic commerce. Multimedia applications are emerging at a fast pace in various sectors such as medicine, education, travel, real estate, banking, insurance, administration and publishing. Such applications are characterized by large multimedia documents that must be communicated within very short delays. Multimedia denotes the integrated manipulation of at least some information represented as continuous media data (e.g., video, audio), as well as some information encoded as discrete media data (e.g., text and graphics). Multimedia communication refers to the representation, storage, retrieval and dissemination of machine-processable information represented in multiple media types (text, image, graphics, speech, audio, video, animation, handwriting, data files) (Lu, 2000). In particular, multimedia communication deals with the transfer, protocols, services, and mechanisms of discrete and continuous media data in/over digital networks. Such communication requires that all involved components be capable of handling a well-defined Quality of Service (QoS) (Kanellopoulos et al., 2009). The most important QoS parameters are required capacities of the involved resources, compliance to end-to-end delay and jitter as timing restrictions, and restriction of the loss characteristics. Precisely, multimedia traffic requires transfer of large volumes of data at very high speeds, even when the data is compressed. Especially for interactive multimedia communication, the network must provide low latency. Continuous media such as video and audio require guarantees of minimum bandwidth and maximum end-to-end delay. The variation in delay (jitter) and loss of data must also be bound. Most multimedia applications can tolerate some errors in transmission due to corruption or packet loss without retransmission or correction. In some cases, to meet real-time delivery requirements or to achieve media synchronization, some packets are even discarded. In general, traditional networks do not suit multimedia communication and are often used to provide error-free transmission. In particular, transmission characteristics of existing Ethernet and Internet Protocols (CSMA/CD, TCP/IP) do not support the low latency, high bandwidth requirements of the audio, video-based applications. Ethernet provides only a bandwidth of 10 Mbps. This is insufficient for most multimedia applications. Moreover, its access time is not bound and its latency and jitter are unpredictable. From another perspective, different multimedia applications have different QoS requirements. For example, continuous media types such as audio and video require hard or soft bounds on the end-to-end delay, while discrete media such as text and images do not have any strict delay constrains. In addition, video applications require more bandwidth than audio applications. QoS requirements are specified by the following closely related parameters (Lu et al, 2000): (1) bandwidth on demand; (2) low end-to-end delay; (3) low delay variation (or delay jitter); (4) acceptable error or loss rate without retransmission, as the delay would be intolerable with retransmission.